NHL News : Imminent trade coming to Chicago?! Imminent trade coming to Chicago?! The clock might be ticking on Bowman's time... he might do everything he can to stay put and make his team better! There is surely a list of issues the Chicago Blackhawks are facing this season. It has been a rough one... They are currently sitting in sixth place of the Central Division ahead of only the St. Louis Blues and general manager Stan Bowman is doing everything he can to help his team. For the second time in two days, NHL insider Elliotte Friedman has reported that Bowman is moving around, looking for a way to make a trade and get an immediate upgrade for his roster. Several weeks ago, the Hawks fired head coach Joel Quenneville to replace him with Jeremy Colliton, but now, something is needed on the ice. 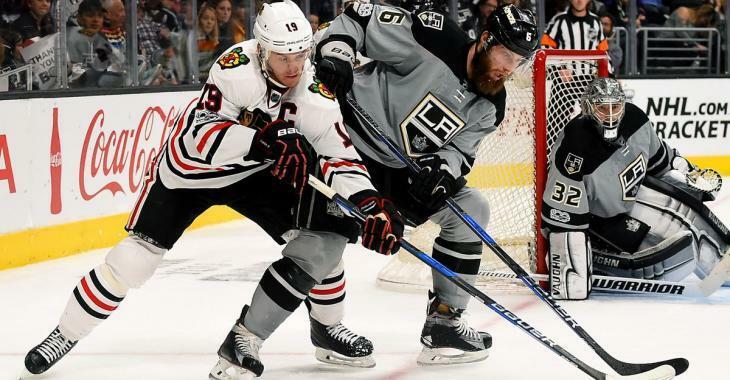 “Stan Bowman was at Los Angeles-Arizona on Tuesday night. They had their cap guy on their last trip. They had two people to see Vancouver-L.A.. They had three people to see Calgary-Dallas. And they had two people the next night to see Edmonton-L.A. after the Vancouver game. They see a lot of the Kings. “Bowman has made a lot of deals. He’s busy. I think he’s working it," explained Friedman during the 31 Thoughts podcast with Jeff Marek. Just a day before, Friedman linked the Hawks to Vancouver Canucks forward Sam Gagner, who was loaned once again to the Toronto Marlies of the American Hockey League earlier this week. After he was waived by the Canucks and went unclaimed back in October, Gagner asked the Canucks to loan him to the Toronto Marlies, the Maple Leafs’ minor-league team, rather than play for the Utica Comets. On Nov. 18, the Canucks recalled Gagner after he was loaned and playing in Toronto. He posted seven goals and 15 points through 15 games and was hoping the call back from Vancouver was a chance to resurrect his career in the NHL. This potential trade could be quite beneficial for Gagner, who could bloom from this change of scenery and help the Hawks get back into contention. "Chicago likes Sam Gagner. Before he committed to Vancouver in the summer of 2017, he visited Chicago and they liked him. I mean, to me it seems like a no-brainer for Vancouver to do it. But I can bet that they’re fighting over money probably. He’s got another year on his contract. “But I do think the Blackhawks have some interest in Sam Gagner," added Friedman during the podcast. The 29-year-old put up 31 points at the NHL level with Vancouver last season. He signed with Vancouver as an unrestricted free agent on July 1, 2017, agreeing to a three-year, $9.45-million contract. Marek however believes the immediate change in Chicago might be coming on the back end.